There was fun all around in North Markham this weekend as crowds turned out to enjoy the 6th annual Cachet & Cathedral Community Fun Fair. The fair was held at it’s now well-established location in the retail plaza on the north-west corner of Woodbine & Major Mackenzie, which is also the location of Living Realty’s North Markham branch. It took place on Saturday and ran from 1pm to 5pm, which proved to be perfect timing as the afternoon rain held off until after the fair had finished. As in previous years, Living Realty’s North Markham branch was heavily involved in activities and added to the fun for the many people who turned up at the fun fair. The branch sponsored the bouncy castle at the festival and that proved to be a hit with the younger guests. Outside the branch, a Living Realty tent was set up with a host of games and activities for children to enjoy. The balloon booster game proved to be a big hit, with over 200 kids giving it a try, and anyone who managed to burst their balloon was rewarded with a fun prize, a Living Realty frisbee! Staying with the balloon theme, a professional balloon twister was on hand to sculpt a variety of balloon animals. This proved to be just as popular as the balloon game and there were long queues lining up to receive one. Those waiting in line had no reason to go hungry though because the staff of our North Markham branch were also handing out complimentary popcorn to anyone who wanted it! 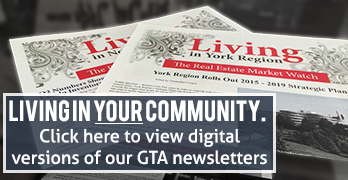 For anyone wanting to learn about real estate and some of the fantastic new home developments in the GTA, Living Realty agents were on hand to offer expert advice and information on the local real estate market. Perhaps best of all, the Living Realty tent also held a prize draw, with the winners taking home tickets to visit the Living Realty 30th International Dragon Boat Festival at the Toronto Islands on June 16-17. It’s one of the biggest events of the summer and one of the highlights of the summer in Toronto. Living Realty is extremely proud to be the title sponsor of the festival and we are happy to have offered the wonderful prize of a visit to the event.